Submitted by content on 23 September 2017 - 6:18am. Portugal international Andre Silva has heaped praise on his skipper Cristiano Ronaldo, who has managed to silence his critics throughout his professional career. The four-time Champions League winner is currently serving a five-match domestic ban after he shoved referee Ricardo de Burgos during the first leg of Real Madrid's Spanish Super Cup triumph over Barcelona. Submitted by CR7 on 14 September 2017 - 2:38pm. 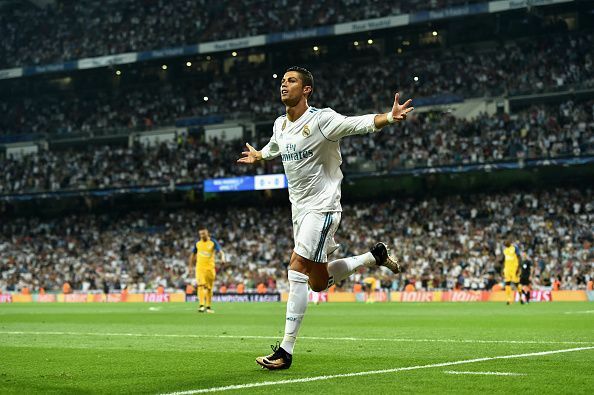 Real Madrid are hoping to make it three Champions League titles in a row this season and got off to a flying start by beating APOEL Nicosia 3-0 at the Bernebeu. Submitted by CR7 on 29 August 2017 - 11:29am. Even Ronaldo's biggest fans struggled not to raise a smirk at the bizarre bronze statue unveiled in his honor this year. While the sculptor could maybe use a little more tuition before taking on their next big project, the good news is that the Portuguese star is going to be the cover boy for the upcoming FIFA 18. Submitted by content on 24 August 2017 - 5:08am. Real Madrid forward Cristiano Ronaldo said that he is ready for the new season and that he is looking forward to winning trophies with the club. He has denied the rumors that he might be leaving for Manchester United and said that he is focused on his club. Submitted by CR7 on 10 August 2017 - 8:21am. 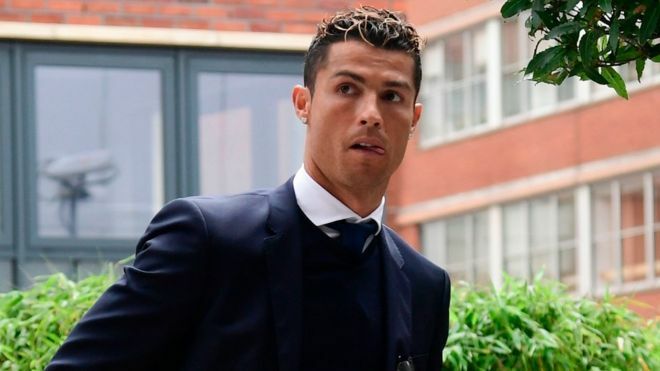 Real Madrid star Cristiano Ronaldo began his preparations for the new season with a visit to a Madrid court in Pozuelo de Alcaron, where he had a hearing for his tax fraud allegations. The Portugal international enjoyed a top campaign with the European champions last term as he celebrated a La Liga and Champions League double. Submitted by CR7 on 9 August 2017 - 10:08am. Zinedine Zidane doesn’t think that just because Cristiano Ronaldo is not denying the speculations of his exit from Madrid, people should start believing that the exit is 100% certain. Submitted by CR7 on 31 July 2017 - 1:14pm. Real Madrid manager Zinedine Zidane has categorically ruled out Cristiano Ronaldo's exit during this summer's transfer window. Submitted by CR7 on 20 July 2017 - 1:17pm. Portuguese superstar Cristiano Ronaldo has reportedly skipped the third-place play-off against Mexico in the Confederations Cup in order to hold talks with Real Madrid en route to the United States. Manchester United goalkeeper David de Gea is desperate to seal a move to Real Madrid this summer. Submitted by content on 11 July 2017 - 3:54am.